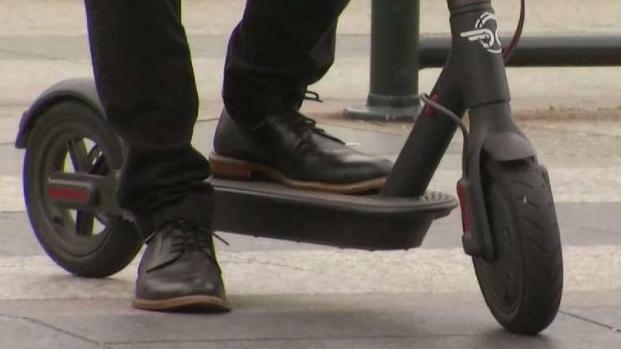 The San Francisco City Attorney's Office on Monday issued cease and desist letters for "the unlawful operation" of three electric scooter companies operating in the city. They're everywhere. On sidewalks, parked next to the Caltrain station, the ballpark, grocery stores and just about every major intersection in the city. It's supposed to be a convenience — download an app to rent a LimeBike, Bird or Spin and then leave them wherever you want once you're done. Not so fast, said the City of San Francisco. Even in a tech-worshipping community like the Bay Area, sometimes technology has its disadvantages. 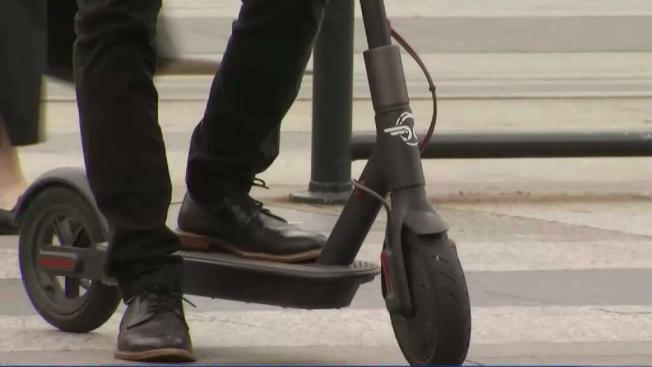 In letters addressed to Bird, Lime and Spin, the City Attorney's Office said that despite previous warnings, the companies have continued to operate an unpermitted motorized scooter rental program in the city, creating a public nuisance on its streets and sidewalks and "endangering public health and safety." The e-scooters have increased in number — by the hundreds — in the last few weeks, without the city's permission. "What we've seen is folks moving to and from meetings downtown and also to and from that first and last mile of transit," said Lime spokesman, Joe Arellano. Supervisor Aaron Peskin called it a typical tech arrogance, the companies deciding it was better to ask for forgiveness than ask for permission. “It’s clear that many of these companies continue to build corporate empires off of a basic premise — making massive profit always trumps protecting the public and innovation is only possible by cutting corners,” Peskin said at a city meeting. Peskin said he has filed around 100 complaints since the scooters rolled out just two weeks ago. He also claims to have tripped over one laying in front of his yard. Scooter companies LimeBike, Bird and Spin put their scooters out on the streets of San Francisco, weeks before the city starts regulating them. Mark Matthews reports. "Broke my toe tripping over a Lime scooter laying on the ground in front of my house at night," he said. Peskin has introduced legislation to regulate the scooters in early March. In a nod to the current state of affairs, the Reddit San Francisco subreddit page even showed its logo "Snoo" riding a green e-scooter. "These companies Bird, Lime, Spin decided to dump these on our streets even though they knew that legislation was pending and winding its way through the process," Peskin said. Bird, Lime and Spin must "completely cease and desist" from unlawful conduct, the letter from the city attorney's office said, providing multiple photos of the bikes showing them parked illegally, obstructing the sidewalk and one picture even showed two people on a bike, zipping down Fisherman's Wharf. The city attorney's office informed all three companies in its letter that current state law requires them to regulate any of the three electric bike companies in the city. "Yet my office has continued to receive numerous complaints from members of the public and city officials about dangerous operation of Bird Scooters," the letter to Bird said. "We have compiled documented evidence that Bird and its customers are ignoring the requirements ... Customers are driving the scooters on the sidewalk, leaving scooters in the public right of way, impeding the safe use of sidewalk and access ramps." The city attorney's office then listed all the laws the companies — and its drivers — are violating, including a valid driver's license or permit, and a helmet. The city's department of public works will continue impounding scooters that violate laws, the letter said. It also provided the companies examples of how they could address the violations, which included making riders more aware of their user agreement, implementing technology that detects when customers are riding on sidewalks and immediately give out a warning that ultimately disables any kind of illegal or dangerous use. The city also wants the apps to provide clear parking instructions to its riders. The companies have until April 30 to respond with a written update on what steps they are taking to address the violations. San Francisco also has pending legislation which could require permits for motorized scooters in the future. Mark Matthews contributed to this report.